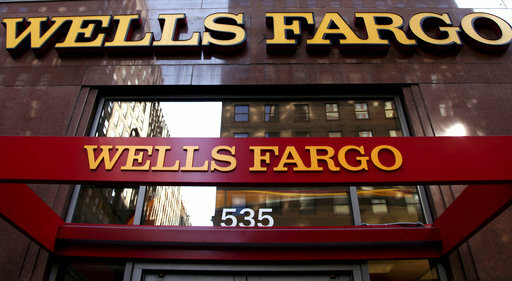 OAKLAND, Calif. (CN) – Wells Fargo will pay $50 million to settle class action claims it profited off home buyers who went into default during the 2008 financial crisis by secretly charging them inflated mortgage fees. “It was hard-fought and there were still risks, so the fact that the class has this $50 million settlement in front of it, I think that that’s all positive,” she said. Lead plaintiffs Latara Bias and Eric Breaux sued Wells Fargo and J.P. Morgan Chase in 2012 for charging mortgage holders inflated default-related fees called “Broker Price Opinions.” In the suit alleging both fraud and claims under the Racketeer Influenced and Corrupt Organizations Act, Bias and Breaux claimed that the banks often marked up the fees by 100 percent or more. They also said that Wells Fargo and Chase used an automated mortgage-loan management system to hide the charges, and that their mortgage contracts never disclosed that the banks could inflate the cost of default-related services to make a profit. Under the Bias settlement, Wells Fargo will establish a $50 million fund to compensate home buyers who paid illegally-assessed Broker Price Opinion fees on mortgages it serviced between May 6, 2005 and July 1, 2010. Class counsel Roland Tellis said at oral argument Tuesday that roughly 290,000 class members would get about $120 each. According to the plaintiffs’ motion for final approval of the settlement, that figure is equal to at least twice the fee markup they paid. As of February 2017, only 65 class members had opted-out of the settlement. There were no objections. Bias, Breaux and a third lead plaintiff, Troy Lynne Morrison – whose case against Wells Fargo was consolidated with the Bias case in November 2013 – will receive service awards of $10,000 each. Class counsel will get $12.5 million in attorneys’ fees. Before approving the deal, Gonzalez Rogers addressed Wells Fargo attorney Mark Lonergan to explain her position. Lonergan, who is with Severson & Werson in San Francisco, called the settlement “fair, reasonable and adequate,” but declined to comment further. A day earlier, Wells Fargo announced that it will force its former chief executive and another top-ranking employee to return $75 million in compensation for their roles in the bank’s ongoing scandal over fraudulent accounts. The return is the largest in banking history. Tuesday’s deal brings to a close five years of sometimes-contentious litigation. The claims against J.P. Morgan Chase were severed into a separate action, Ellis et al. v. J.P. Morgan Chase & Co. et al. Gonzalez Rogers cleared Chase of wrongdoing in that case last October. The plaintiffs have appealed to the Ninth Circuit. Tellis is with Baron & Budd in Encino, California.